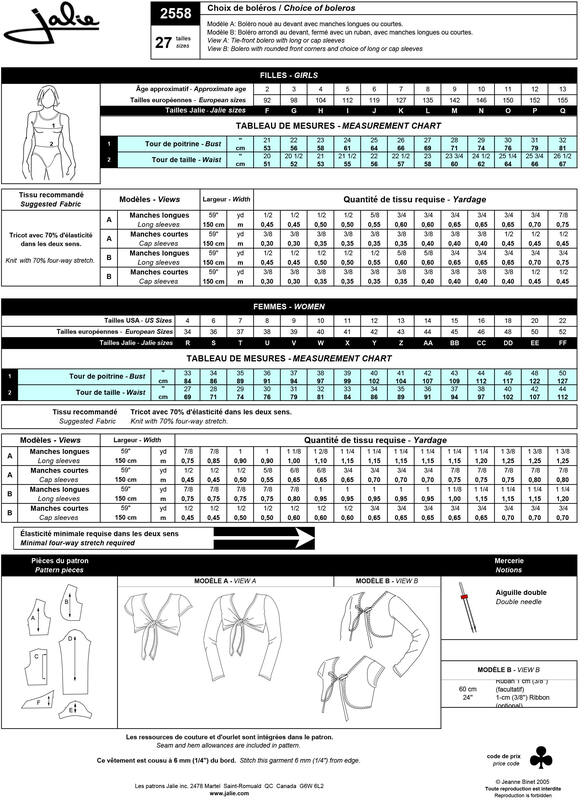 Package includes patterns and instructions to make Boleros. View A: Tie-front Bolero with long or cap sleeves. View B: Bolero with rounded front corners and choice of long or cap sleeves.